Ladies and gentlemen, boys and girls, get ready for the traditional festive favorite – Moscow Ballet's Great Russian Nutcracker!! 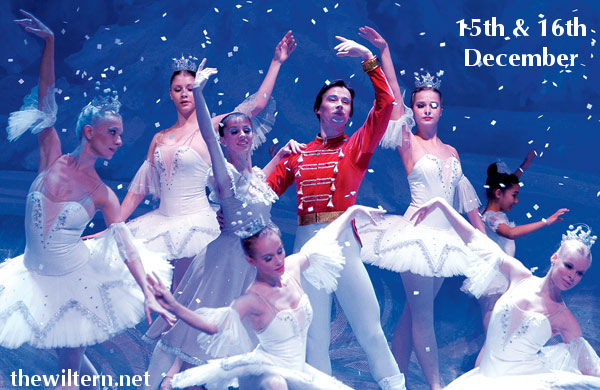 Now celebrating its 15th anniversary, the greatest Nutcracker production is on a tour around North America, coming to The Wiltern on Saturday 16th December 2017! Tickets are on sale NOW – get yours early to guarantee the best seats! For 25 years the Great Russian Nutcracker has been adored by audiences and critics alike, described by the Calgary Herald as having ”technically supreme dancing, dazzling moments, authentically opulent and beautifully detailed costumes.” Set to Tchaikovsky’s iconic score, the Moscow Ballet’s production is a genuine Russian experience, featuring full-sized Matryoshka Dolls, and Russian folk characters: Ded Moroz (the equivalent of Father Christmas), Snegurochka the Snow Maiden and Troika Sleigh. From its lush costumes to stunning dancing to Tchaikovsky’s beautiful score, the Moscow Ballet's Great Russian Nutcracker is a delight to the eyes and ears alike.